As Miss Weaver finally reveals the true purpose of her gruesome “personal experiment,” Lucy and Claude find themselves trapped in the windmill, facing a fate worse than death! Even with the help of unexpected allies, can they turn the tide against the Engineers, or will the students of Hollow Fields be sacrificed in the name of forbidden science? 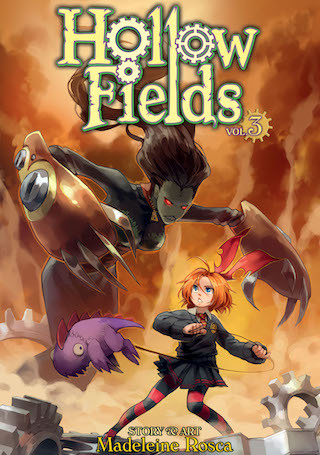 It’s up to Lucy to muster every ounce of courage in order to confront Miss Weaver one last time–and save the children of Hollow Fields!